Formerly called "Full Color Unisex Tube Sock". Full color imprint on both sides. The design can be different on each side at no additional charge. Socks are decorated to look the best before putting on the foot. The art may distort when placed on the foot, with the white material from the inside of the sock showing through the art. With the heel-less crew tube design, one size fits most. Height above ankle varies upon foot size. We recommend ordering a FREE sample before placing an order to verify sizing. Pricing is per pair. Machine washable in cold water. 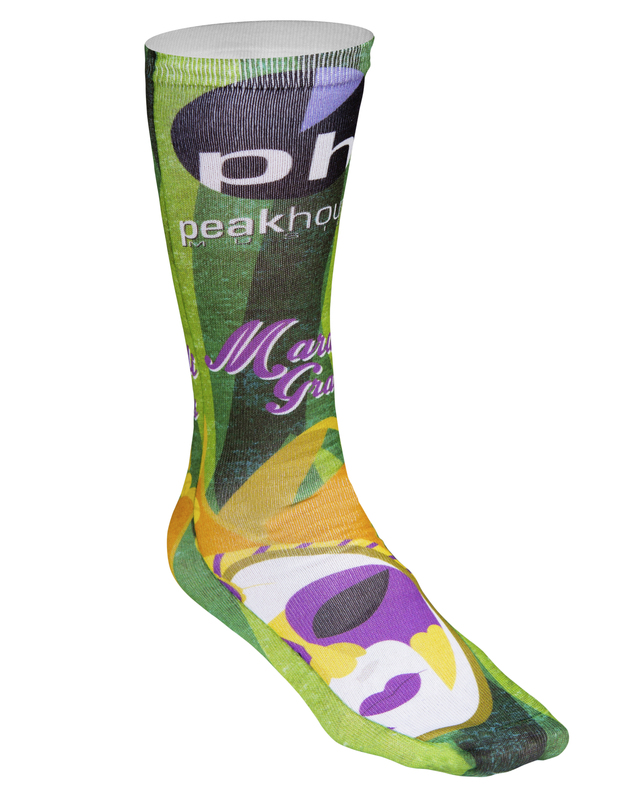 Note: The dye sublimation process approximates a PMS color match, not an exact PMS color match. This item not available for 24 hour service. It is recommended that all text and logos stay 1/4" from the edge. Because of the print process, graphics may not match up front to back. See example of alignment here. Waterford Diamond Line Nut Bowl 5"